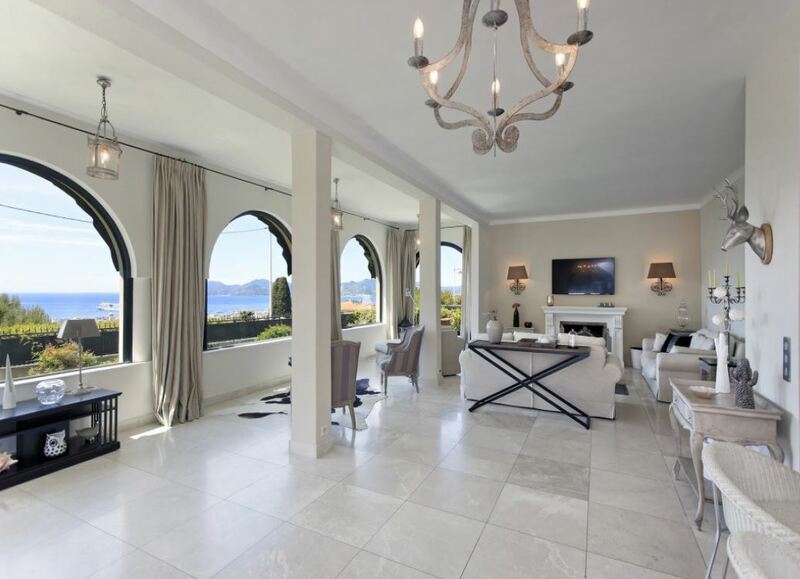 This beautiful villa is situated close to the beaches and the town centre of Cannes. 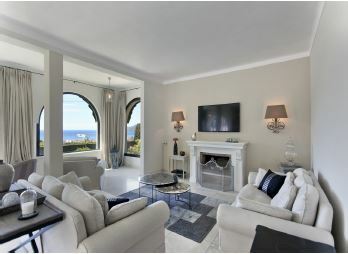 The property benefits from stunning sea views and access to a private swimming pool and large terraces. 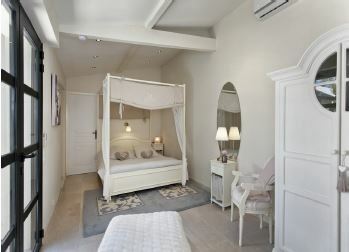 There are 4 tastefully decorated bedrooms with en-suite shower or bathrooms and another bedroom in the independent studio apartment. The double living room provides a lovely setting for socialising and entertaining guests with a lovely view of the garden as well as a fireplace. The dining room is able to accommodate between 6 and 8 guests and also opens out onto the garden area. The equipped kitchen leads in to the living room and features a bar for 4 guests. 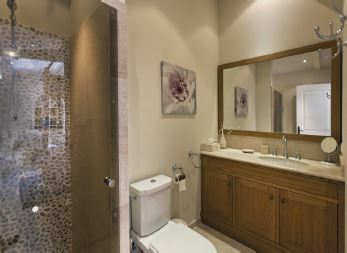 A fantastic sauna is available for guests to use. The outdoor space of the property includes a large swimming pool surrounded by a multitude of terraces with furniture and sun loungers. There is also a summer dining area as well as a lounge in the garden. An independent studio is located within the grounds and features a bedroom with a double bed and a sofa bed and an en-suite bathroom.